Last week’s storytime was such a big hit, I’m going to go out on a limb and say that it was my most successful storytime to date! Don’t get me wrong, most storytimes are pretty amazing, but we had big crowds both days last week, and the children — from the little babies to the 4-year-olds — absolutely loved it. I got lots of hugs after it was over! Our theme? Bugs! This is a story about a little bug who’s usually quite tidy. But when she falls asleep at night, her dreams take her places, and she wakes up to a messy bed. 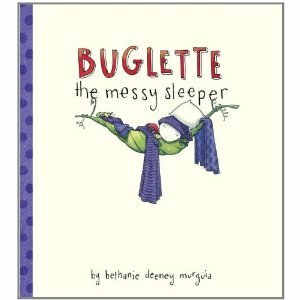 When her tossing and turning attracts the attention of a crow, it takes Buglette’s messy sleeping habits to scare him away. The kids were very quiet and riveted to this book. No wriggling whatsoever! Credit for this one goes to Mel’s Desk. I have to say that the kids LOVED this one! We played it twice, everyone participated (even my shy ones) and the room was filled with squeals of joy whenever the kids guessed correctly. 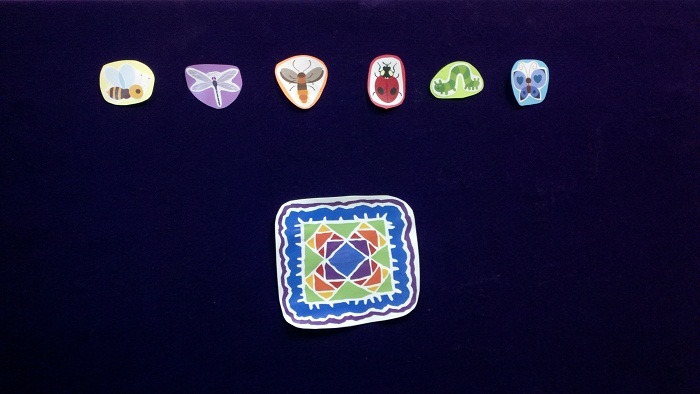 The premise of the game is pretty simple: Go over each bug with the children (a few were unfamiliar with dragonflies), have the children cover their eyes, hide a bug under the rug, and have the children try to guess which one is missing. If they had any trouble I gave them a clue (“This bug is red and has black spots on its back!”). Stole this idea from Leah @ Sunflower Storytime! Instead of reading the traditional book, I did a sort of mini flannelboard with the story glued on the back. Like Leah, I opted for the tamed down version where she swallows a horse…and is full of course! 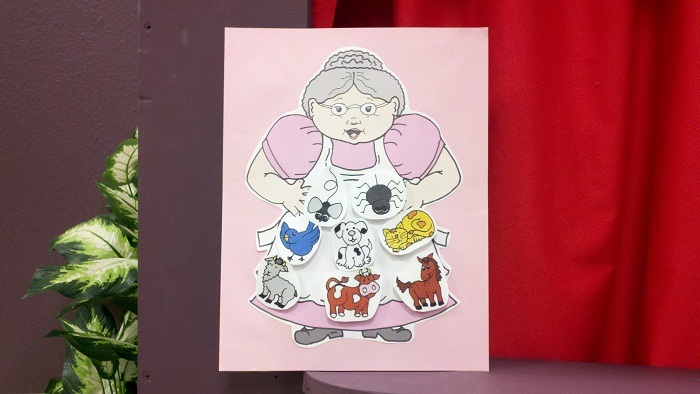 Kids loved it, though one little girl in my Wednesday storytime exclaimed, “No! She’s supposed to die!” at the end of the story. So much for trying to tame it down. 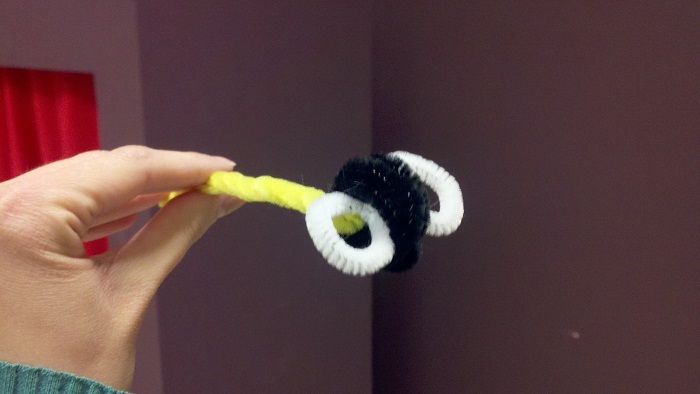 This is another activity from Mel’s Desk (Melissa, I promise I don’t plagiarize all of my storytimes after you!). I had just enough shoo flies for all the older kids. I had wanted to give one to the mom’s with babies, but we had such big crowds both days that I wasn’t able to do that. We sang shoo fly and had the flies land on different body parts (feet, ankles, knees, wrists, elbows and heads). Big hit with the kids! 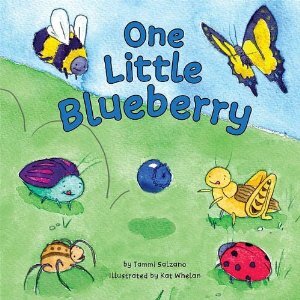 This is a counting book about a bunch of bugs who chase after a blueberry! It was a great book to practice both counting and colors! Yahoo! So glad the buggy things went well! It’s great to have you try them out, since some of the stuff I think up I can’t really do with my babies and I love it when I hear they do work with the older kids. 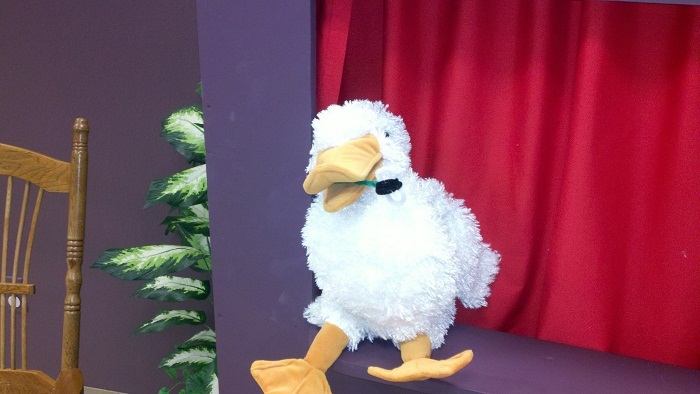 And what goes around comes around…I will be on Falling Flannel looking for ideas for my storytimes so it all evens out!